These connectors all use the Tang-Less .250” terminals. 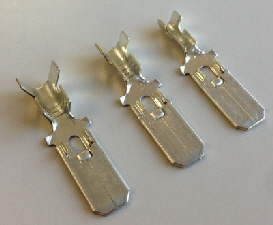 They are available for 3 size ranges of wire, in traditional bronze/brass or tin plated bronze/brass. Extra terminals are available at the bottom of this page. These housings have terminal locks built in. 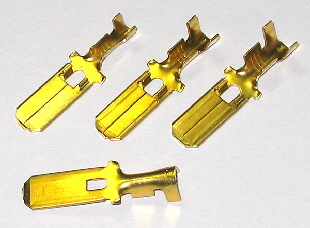 Tough housings in natural nylon, colour may vary. 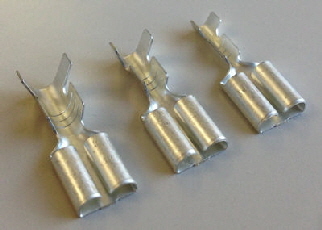 3 sizes are: 0.4 sqmm(20AWG)/2.0 sqmm(14AWG)/3.0 sqmm(12AWG) - these sizes are the max wire size that can be properly crimped in the terminals. 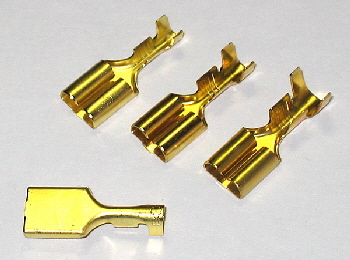 5P250-312 Hybrid Tang-Less Connectors - by Sumitomo. 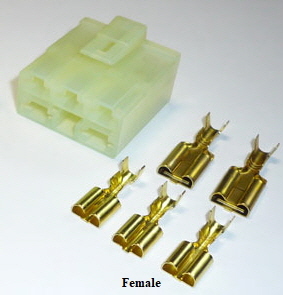 The female half is used on some Hondas and others for Alternator/Regulator connection. A mating male is also available. 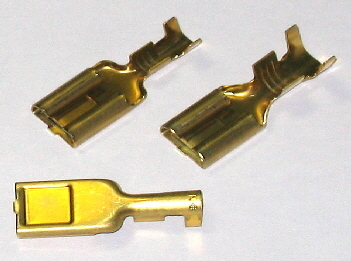 This connector has a combo of two large .312 terminals and three smaller .250 terminals. It is made to clip onto a bracket on the bike as well. You can pick the terminals you need, according to the wire sizes you have. 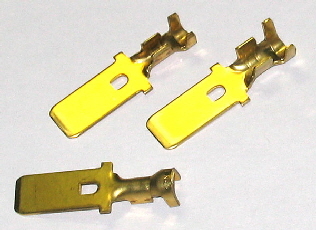 Shown above are the connector housings with a complete set of 2mm2 terminals. On the right all three sizes are shown. Choose your size according to the wire size to be used. 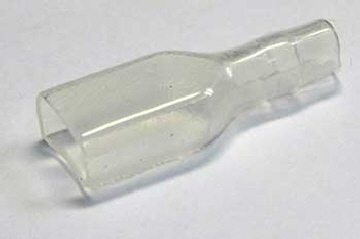 Terminal ‘size’ is the maximum size wire it will take. On the right two sizes are shown. Choose your size according to the wire size to be used. For sheaths for these terminals go here.